Spanish City, once neglected, has been restored to its former glory. 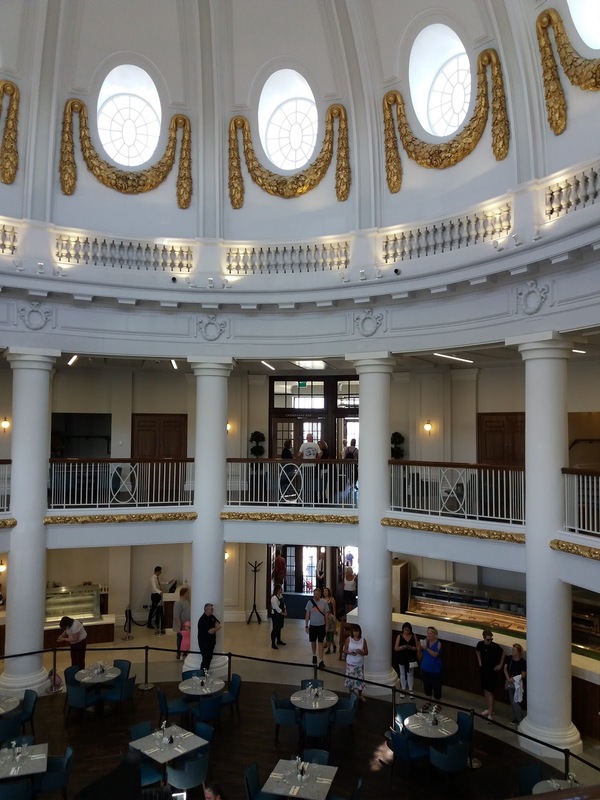 A familiar landmark on Whitley Bay seafront for more than a century, the striking architectural structure officially reopened to the public today. Over the weekend its doors opened to a curious public eager to take a look inside. 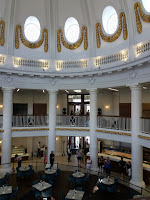 They queued in their hundreds, possibly thousands, and no one could be other than impressed with the lovingly renovated building. The sun shone, a fun fair on Whitley Bay Links did good business and the food and drink outlets - coffee shops, fish and chip shops, pubs and restaurants - were doing a roaring trade. Ice cream, anyone? Outside Spanish City, a back-of-a-lorry stage presented jazz on Saturday afternoon and again on Sunday. 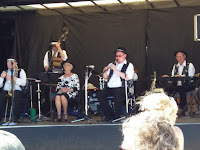 Early Sunday (11:00am) Maureen Hall's Rendezvous Jazz entertained a large crowd baking under a scorching sun. Weary Blues featured Gavin Lee's superb clarinet playing, bandleader Hall herself sang Birth of the Blues accompanied by a fine Don Fairley trombone solo. Dixie is right up Rendezvous Jazz's street and an instrumental feature - Waiting for the Robert E Lee - made the connection with North Tyneside's Confederate platoon. N'Awlins' brolly dollies responded to Hall's call to parade down South Rampart Street and with the never-ending glorious weather it wasn't such a stretch to imagine Whitley Bay being twinned with the Crescent City.